Yes, there’s a way to get Facebook fans to create exposure for you on Pinterest. Here’s the skinny: Although during the setup process you can choose to link your Pinterest account to your Facebook personal page, there is currently no way to automatically hook up to your Facebook fan page. The truth is most business owners have not figured out a solution. They are failing on Pinterest because they think that they have to build a new following from scratch. Well, that is patently untrue. Here are five ways to use Facebook to build your Pinterest following. The easiest thing to do is just go to Woobox and create a Pinterest tab for your Facebook fan page. 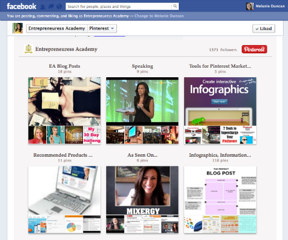 Easily get a Pinterest tab for your Facebook fan page from Woobox. It’s very simple to do and requires little to no technical skills. Within minutes, you can have your Pinterest account in front of thousands of your fans! This way, whenever people come to your Facebook page to either check out your latest posts or learn more about you, they can also see that you are on Pinterest. The Pinterest tab allows fans to view all of your boards and even your pins while staying on the Facebook platform. They will not be transferred over to Pinterest until they try to repin or comment on one of your pins. 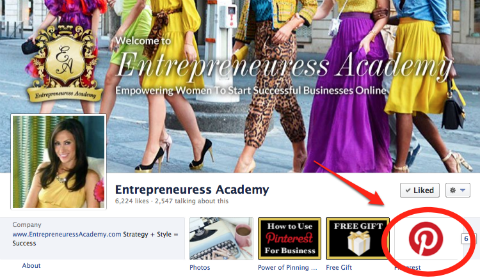 Within just a few clicks you can easily create a Pinterest tab for your Facebook fan page. Inside the Pinterest tab as seen on the Facebook fan page. There are a few different ways to use your Facebook status updates to promote your activity on Pinterest. One way to build your follower base is to share the direct link to your Pinterest page as a status update and tell your fans WHY they should follow you on Pinterest. What helpful information or cool contests will they have access to? Are there exclusive promotions? 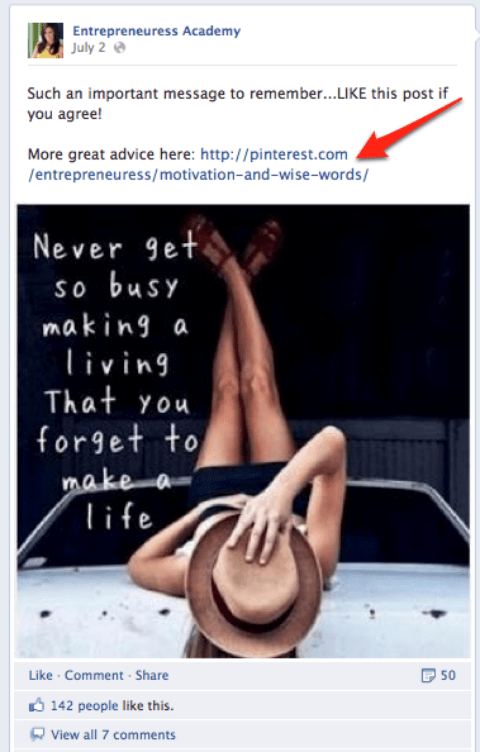 Why should they follow you on Pinterest AND Facebook? 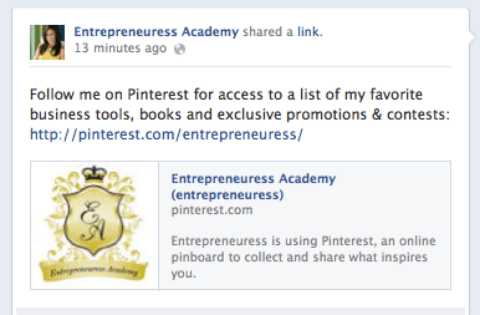 Example post of a Facebook status update promoting a Pinterest business account. The more specific you can be about the type of value you are creating for your followers on Pinterest, the more likely your fans will join you there too. On Pinterest, people can choose to either follow all, or just a few, of your boards. Because of that feature, you may find success promoting specific Pinterest boards on your Facebook fan page. I recommend you promote a few different boards throughout the week. That way, you have the opportunity to showcase your Pinterest account to a wider audience on Facebook, and you can introduce them to the diverse areas of value shared on your Pinterest page. There are two ways you can promote a specific Pinterest board on Facebook. Update your status by uploading an image of a pin to Facebook. Add a description and include a link to the board on which that pin is featured. 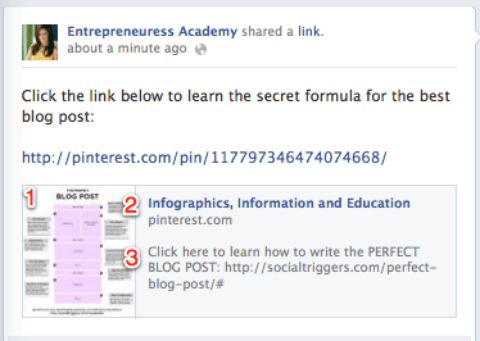 Example Facebook post promoting a particular Pinterest board. This works well if you have a really compelling image, because it will be granted more space on the Facebook newsfeed than a link. Post the link to your Pinterest board as part of a status update. An image of one of your pins on that board will be automatically generated. Generate a full board preview (photo and all) by posting the board’s direct URL . Posting the link will also automatically include the text in your board description. Make sure that you add proper descriptions of the content when setting up your boards. I’m always amazed by how few people take advantage of this opportunity. Look how brilliantly realtor Raj Qsar utilizes this space for his branding purposes. 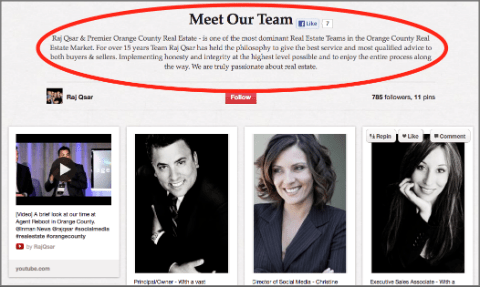 “Raj Qsar & Premier Orange County Real Estate – is one of the most dominant Real Estate Teams in the Orange County Real Estate Market. For over 15 years Team Raj Qsar has held the philosophy to give the best service and most qualified advice to both buyers & sellers. Take advantage of the description area below your board titles for adding value to your brand and board. To add a description to one of your boards, simply click Edit Board and fill in the Description field. 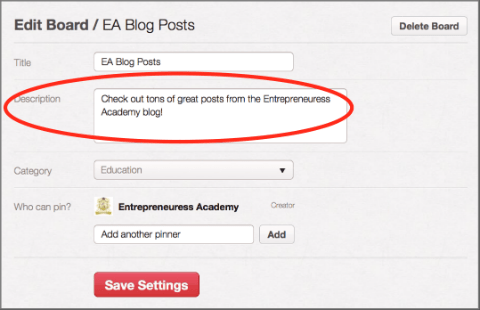 Add a description to your board by clicking the “Edit Board” button at the top of your Pinterest board page. Sometimes the best way to really serve your Facebook community is to highlight the value that you are providing in one particular pin. This is a great way to get maximum exposure when pinning your own original content. Remember these posts can and will be shared across Facebook by your fans. The same two strategies apply here, as they do to promote a specific board above. You can either upload the image of the pin as a status update (or include a link in the image description), or you can just include the direct link to the pin in your status area. 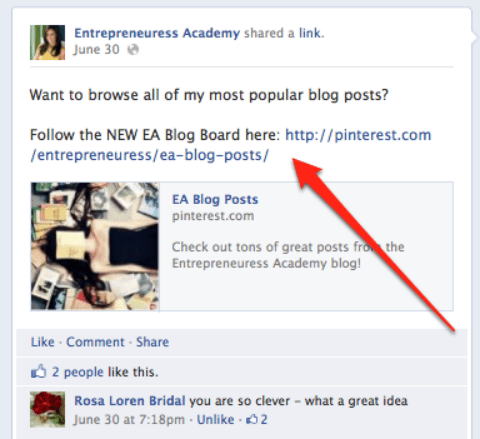 Promote a particular pin by pasting the pin’s direct URL into your Facebook status update. So make sure you have fully optimized both your board title and caption for maximum impact. Focus on creating intriguing board titles and including a further explanation of value in the caption. 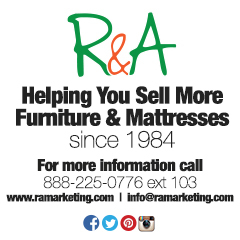 Contests and promotions are becoming all the rage on Pinterest. They are a very effective way to quickly add a lot of new followers and drive a ton of traffic to your site. Unlike Facebook, there are no real restrictions regarding the way contests are promoted and hosted on Pinterest. 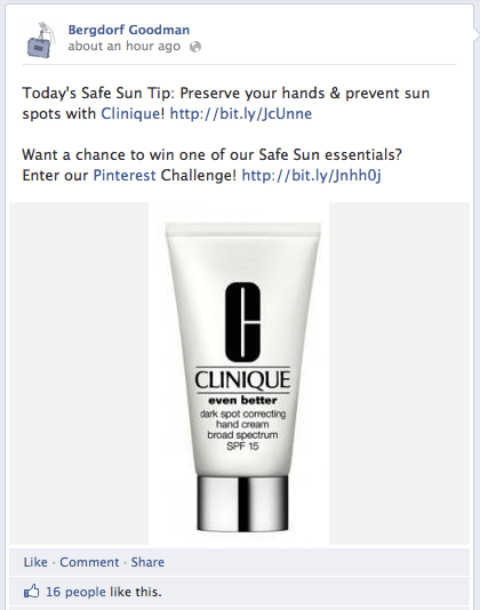 A great way to leverage both platforms is to promote your Pinterest contest on your Facebook fan page. Example of how Bergdorf Goodman promoted their Pinterest contest on their Facebook fan page. Bergdorf Goodman recently promoted their Pinterest contest on their Facebook fan page by posting an image of one of the prizes with a brief explanation. They included a link to their blog within the description of the image where fans could find more details about how to enter. Hopefully you’ve found these five ways to use Facebook to build your audience on Pinterest helpful. I know from personal experience that introducing your fan base to your presence on Pinterest is an effective way to get more followers. Despite all the hype surrounding Pinterest, Facebook is still the largest social media network. Why not leverage the audience you have already built there and let them fast-track your success on Pinterest? So what do you think? Can you see the benefits of using Facebook to get more followers on Pinterest? Leave your questions and comments in the box below.